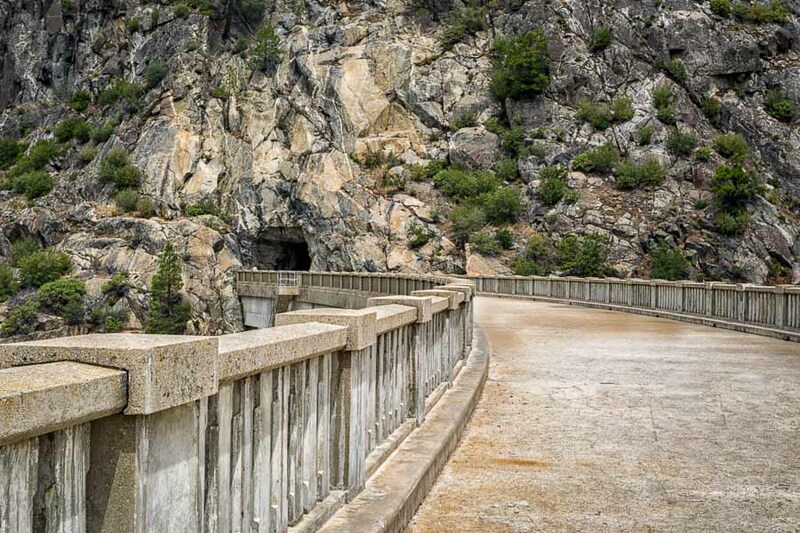 Getting to Hetch Hetchy is a bit of a trip if you are staying in Yosemite Valley, but I do highly recommend it. The area is unlike the other places we hiked and visited in and around the national park. Even before getting on to the main trail, we knew it was different because we had to walk through the mountain tunnel to come out on the other side where the major trails start. The photograph above shows the tunnel at the end. It can be dark and we were glad to have our head lamps so we could avoid the puddles and potential wet feet. It was also fascinating to view the water release from the bridge and to see all the spillways funneling the water in various directions. 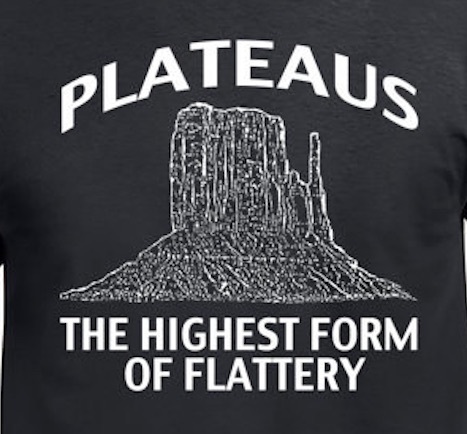 Plateaus – The Highest Form of Flattery! I do enjoy clever visual puns and T-shirts. Add in my interest in hiking and landscape photography and one can understand why I had a smile when I came across this bit of creativity! 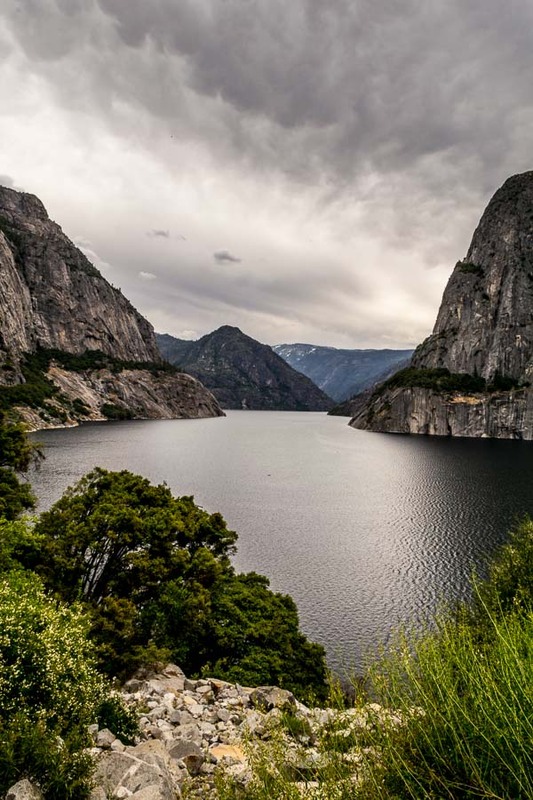 The Hetch Hetchy Reservoir – Stunning! 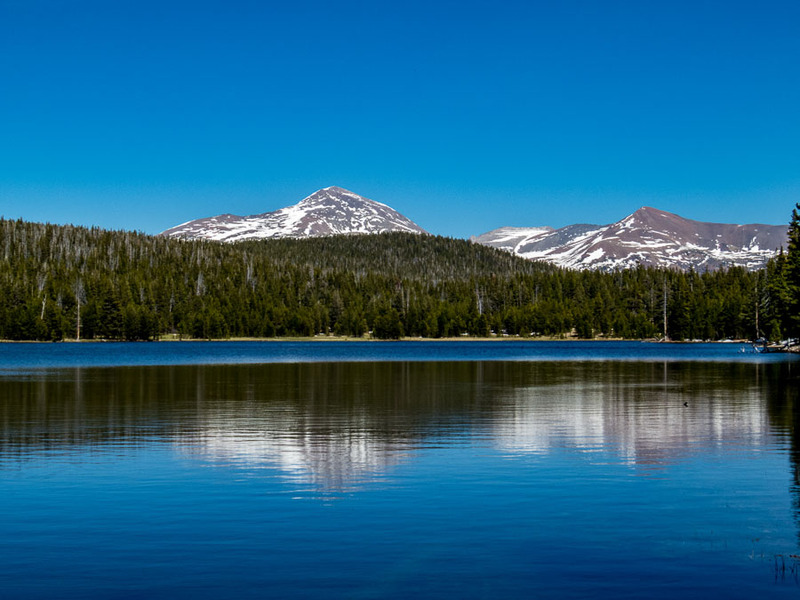 Of all the lakes we visited, I give the award for the most picturesque to the Hetch Hetch Reservoir which created a lake that exudes personality. Surrounded by mountains which appear to be out of a fantasy movie or from the Far East, it is transporting. Add the waterfalls, wildflowers, etc. and it is a most rewarding place to visit. The dramatic weather added to the photogenic ambiance. Dog Lake was an interesting side-venture. Dog Lake was quite frankly an afterthought. We hadn’t intended to make the side journey, but when we realized how close it was to the Lembert Dome Trail in the Tuolumne Meadows area, we decided to investigate. Compared to some of the other lakes, and with the understanding we only viewed it from one vantage point, it was less remarkable than the previous lakes we visited. Certainly pretty with the snow coated mountains in the background, it lacked the personality of Mirror Lake or Tenaya Lake. Perhaps the distance from the mountains or other geographic wonders lessened the impact. As readers of JBRish know, photography is one of my hobbies and it is very interesting to me to find that there are so many subsets of photography for specialists. Did you ever try to take a good picture of food? It is harder than you might think. Look at a couple of recipe websites and notice how interesting and wonderful most people manage to make the ingredients and finish serving appear. Besides food photography, there are the more popular categories of landscape, portraiture, travel, etc. Of course there are some very unique categories as well such as astrophotography, medical photography and street photography just to name a few. Then there are those photographers who are just very creative in what they do. I have often come across an interesting photograph and wondered: “Why didn’t I think of that?” And then again, even if I had, there is a world of difference between thinking of something and the doing. The photograph below is an example. The only information I could gather is that this photograph was taken to support animal adoption. Some consider it an example of optical illusions. I just think it is pretty darn clever. 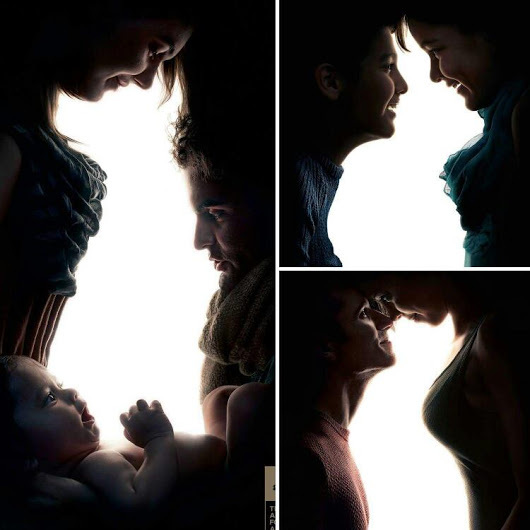 Have you seen any interesting photographs that were extremely creative? If so, why not provide that information in a comment for all readers to appreciate? NOTE – I don’t have the information for appropriate attribution. If anyone can provide the correct data, please leave it in a comment and I will certainly update the post.